Offer your customers incentives coupons, it encourages your customers to write and share their reviews. Also giving them the reason to return back to your store to redeem the coupon on their next purchase. Reward customers with coupons is a great way to upsell your products to your customers, increase revenue and customer acquisition. NOTE: If you've enabled all 4 types of coupons, ultimately only 1 coupon will be sent to the customer based on the last action taken. 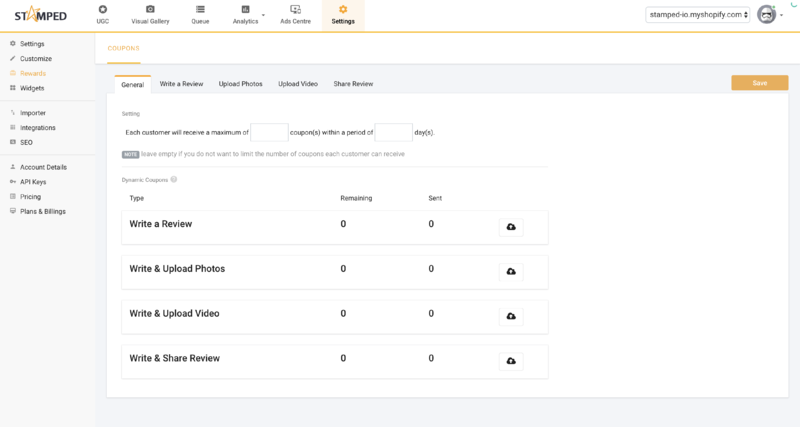 Example #1: customer submits a review, and upload a photo for the review, they'll receive the " Write & upload photos" coupon code. Example #2: customer submits a review, uploads a photo and shares the review, customer will receive the " Write & share review" coupon code. 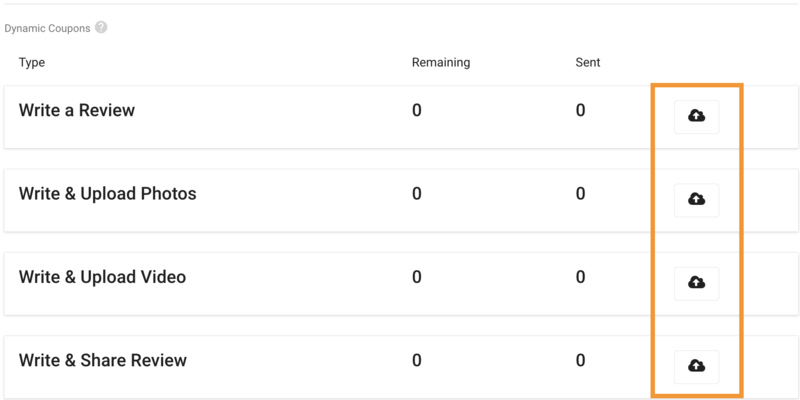 For the "Coupon Type" field, you can select Fixed or Dynamic. Dynamic = Multiple coupon codes can be imported into the app via the general rewards page as shown above, so each coupons sent will be different for each customer. We recommend using a coupon generator app to create the codes. NOTE: Coupon codes must be generated and managed in the relevant e-commerce admin page. 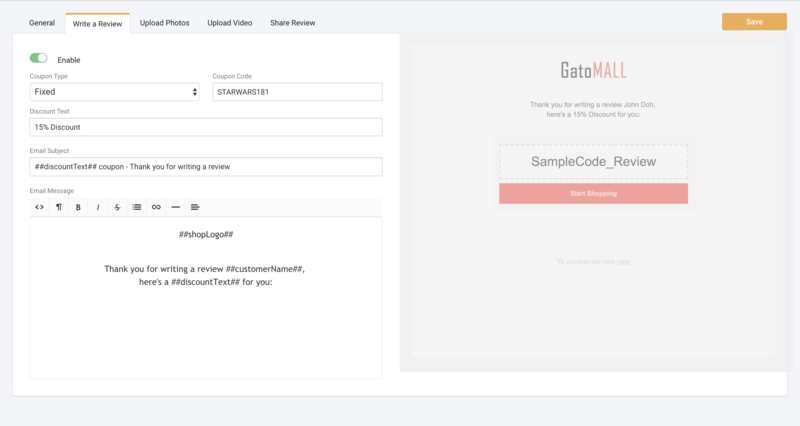 Stamped.io only helps to automate the process of sending coupon codes when customers contribute to your UGCs.